news The Commonwealth Bank’s long-serving and highly decorated chief information officer Michael Harte has announced he will shortly leave the bank to take up a senior role at UK-based Barclays Bank, in a move that signals the end of an era for CommBank’s IT operations. Formerly an an IT executive with Fonterra, Citigroup in London and New York and PNC Financial Services, Harte joined CommBank in April 2006 as its chief information officer, with a mandate to lead a new enterprise-wide technology function and implement a new IT strategy. For the past five years, since the expansion of the bank’s Enterprise IT function into Enterprise Services, he has also led most of the bank’s operations teams. In that time the executive led many innovations within the bank. However, he is best known for leading the $1.1 billion transformation of the bank’s core banking IT systems. The CBA’s project was initially kicked off in 2008, with a projected value of $580 million, but has since doubled in size, with Harte confirming in March 2011 that its ongoing value was about $1.1. billion. Among Australia’s major banks, the only other bank to have initiated a similar core overhaul project is the National Australia Bank. The key partners involved in CommBank’s overhaul have been SAP and Accenture. The benefits of the core overhaul have been legion for CommBank. Chief among them has been the ability of the bank to deliver real-time banking services (include intra-day transfers and instant new account opening) to its customers, as well as drastically simplifying its core banking operations in a way that cut out costs and sped up the bank’s ability to deploy new banking products. As a whole, due to the core upgrade, CommBank has become a markedly more agile organisation. The overhaul has vaulted CommBank ahead of its rivals in terms of its IT operations, with Harte stating in March 2011 that the bank was between two and five years ahead of its competitors in the field. However, Harte has also taken a role in implementing a wide range of other improvements to CommBank’s operations. 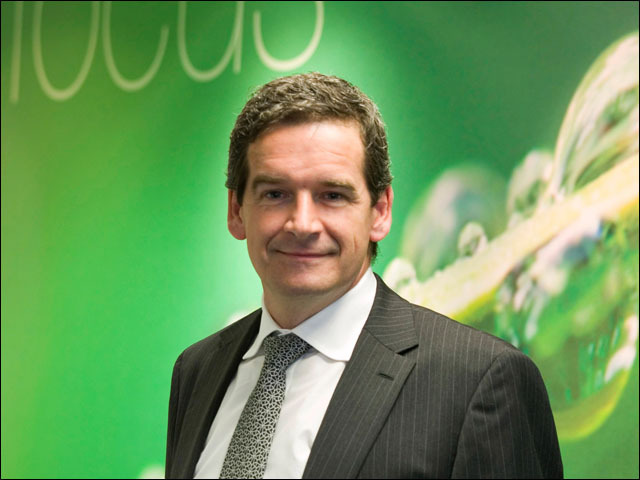 The bank’s internal IT infrastructure, from its corporate software to its end user PCs and smartphones, has been modernised, and Harte has also emerged as a leader in the cloud computing space, evangelising the new technology paradigm and pushing for its implementation in the financial services sector. In terms of its own retail customers, CommBank has stepped out ahead of its rivals in a number of areas, introducing new features such as tap and go EFTPOS banking, payments via social media platforms such as Facebook and email, and most recently, cardless ATM support. However, Harte’s tenure at CommBank has also not been without its issues. For example, in July 2012, a disastrous patch which appeared to have been applied by a key supplier to the bank, HP, took down much of the bank’s internal systems and resulted in branch staff being unable to service customers. The executive’s imminent departure was announced yesterday by CommBank chief executive Ian Narev, who said Harte would leave the Group in mid-2014 to take up the role of Chief Operations and Technology Officer of Barclays Bank, based in London. Narev said under Harte’s leadership, the application of technology to financial services became a core strategic priority of the Group. Narev indicated that an announcement regarding a replacement for Mr Harte would likely be made in June. Reflecting the bank’s strong internal talent development, the appointment of Mr Harte’s successor will focus on internal candidates. Wow. We’re truly seeing the end of an era here. For most of the past decade, Michael Harte has loomed large in Australia’s technology sector as one of its most visionary and influential executives. His shift to Barclays really does leave Australia a little lost without one of its most visible and high-end IT executives. Not everyone has personally liked Harte during his time at the top; something that is common to highly successful people. But when you look at the sheer amount of change the executive has driven, in every area that his fingers have touched — from the massive core banking overhaul at CBA, which no other bank has been able to replicate, to the huge innovation in end-user banking which has followed, to the leadership Harte has shown in driving the cloud computing adoption … it’s a little hard to describe Harte as anything else other than a titan. Not a bad effort for an executive who failed a number of course in his first year at university and displayed a bigger interest in partying and playing rugby ;) Reforming Australia’s entire banking IT sector — that’s a large enough accomplishment for anyone. From two factor authentication for personal accounts, and paywave on phones. I wish ANZ would hurry up and follow.